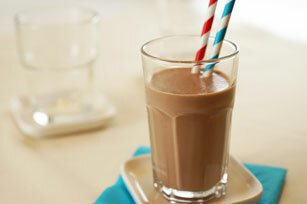 A delicious smoothie that features KRAFT Peanut Butter with Chocolate, banana, greek yogurt, and chocolate milk. Great for breakfast or a treat. Prepare using Kraft Smooth Peanut Butter.